Since the Buffalo Sabres joined the National Hockey League in 1969, they have become one of the most storied franchises in professional hockey in North America. 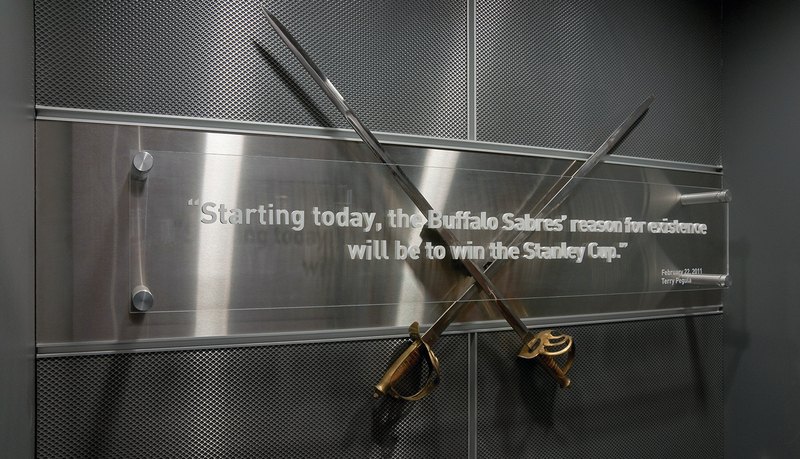 Over the years, the Sabres have added to its rich team history by making two trips to the Stanley Cup finals and having 16 Sabre players inducted into the NHL’s Hall of Fame. However, most fans and players view being inducted into the Buffalo Sabres Hall of Fame as among the highest honor they can be awarded. To date, more than 35 players have been inducted into the team’s hall of fame. 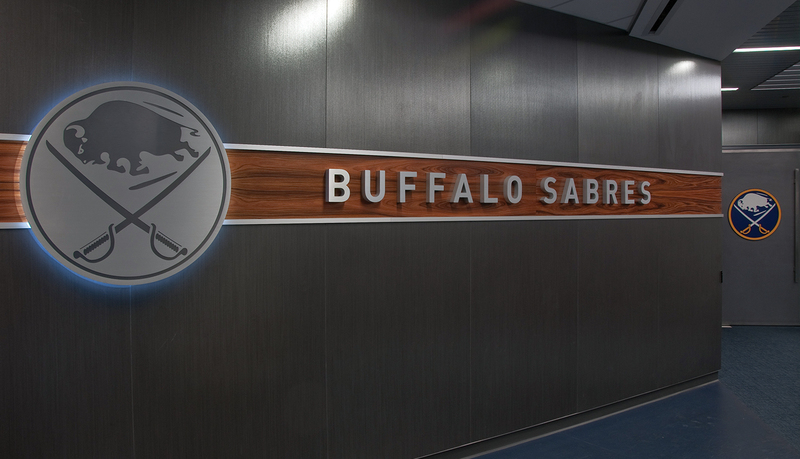 In order to appropriately honor the legacy of the players and communicate the team’s history for generations to come, the club owners decided to create an expansive recognition wall inside the new state-of-the-art locker room facility at the First Niagara Center. 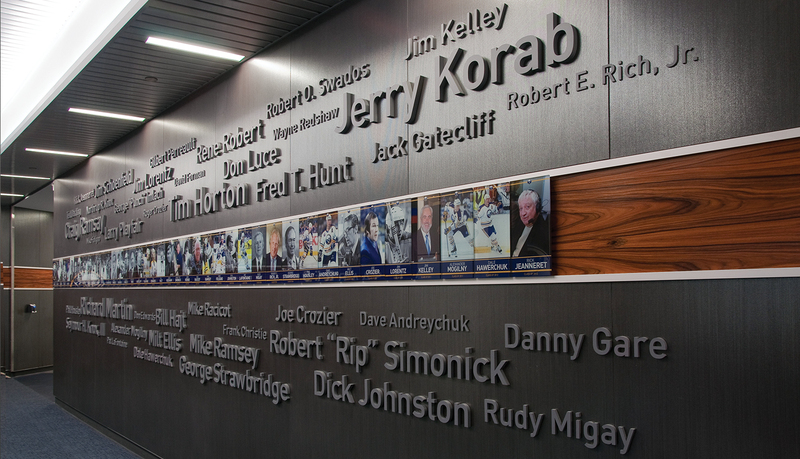 The recognition wall needed to rise to the level of excellence that defines the Buffalo Sabres. 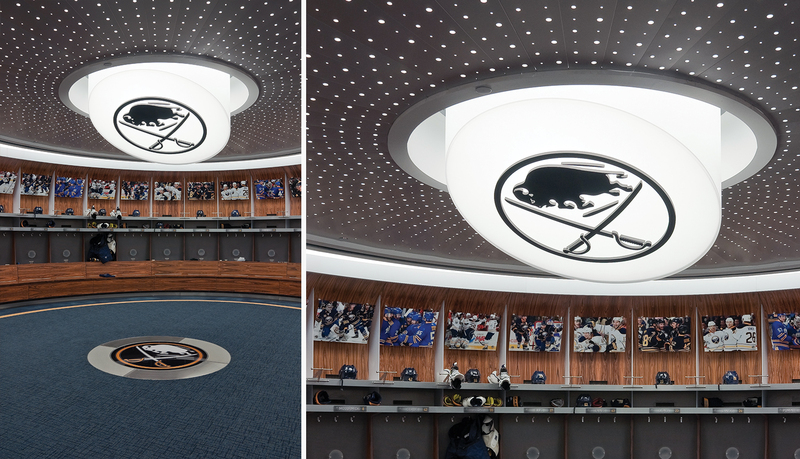 Cannon Design was hired for the locker room reconstruction, which included incorporating the Buffalo Sabres vision of the hall of fame wall, the team’s retired number wall and the puck history wall. 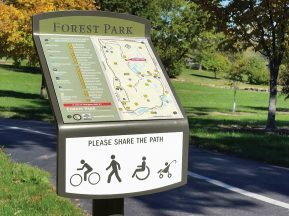 ASI worked closely with the Buffalo Sabres and Cannon Design to establish environmental graphic standards and signage standards for the recognition solution. 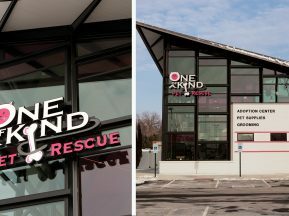 The project was fast tracked to be completed in less than two months; to coincide with the team’s return from Europe, where they started the season. 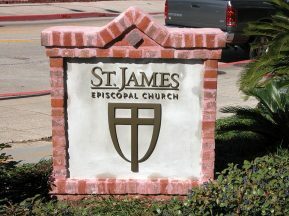 Within this two-month timeframe, all the production artwork, fabrication and installation occurred. 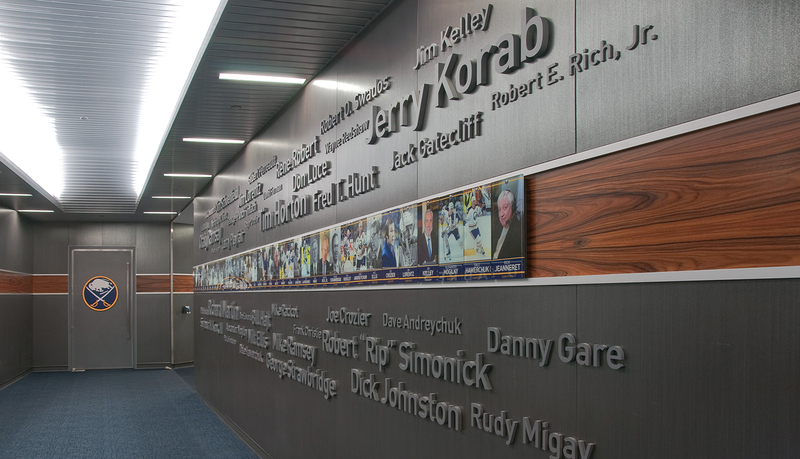 The Hall of Fame recognition wall is comprised of digitally printed photographs and dimensional letters that spell out the names of each of the team’s hall of fame members. 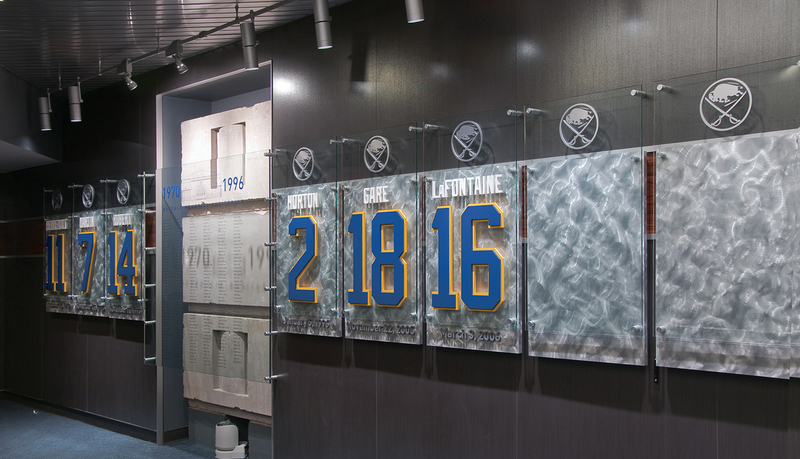 The Retired Numbers recognition wall is made up of custom designed graphic panels and dimensional graphics that represent the retired numbers of Sabres players. 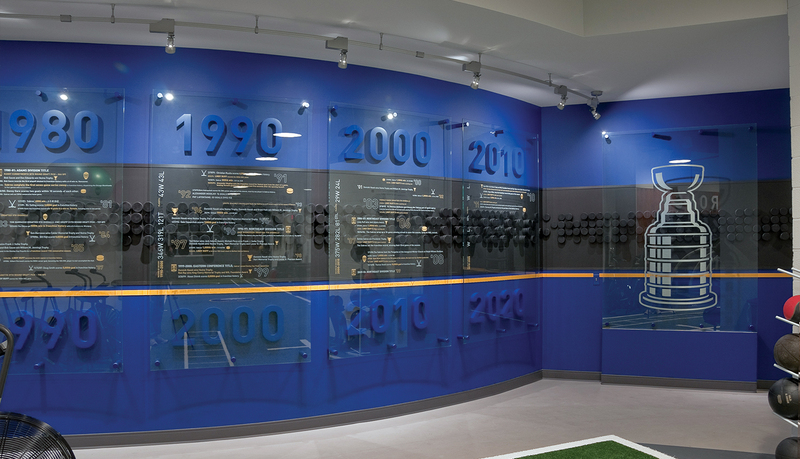 The Puck History recognition wall is a custom, curved wall that details the team’s history by decade. 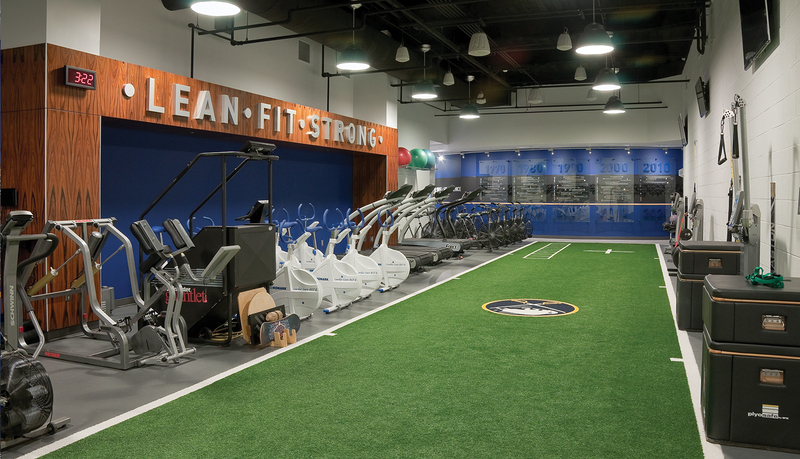 Each decade is represented by large glass panels, digitally printed history information, dimensional letters and more than 700 hockey pucks mounted to the wall. 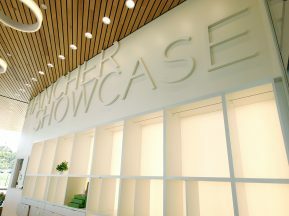 The completed project can be seen on televised home games as the players enter and leave the ice, as well as when the broadcast crew interview players before and after the games.